You know the journey milk makes from the grocery store to your fridge, but have you ever wondered how it got to the store in the first place? 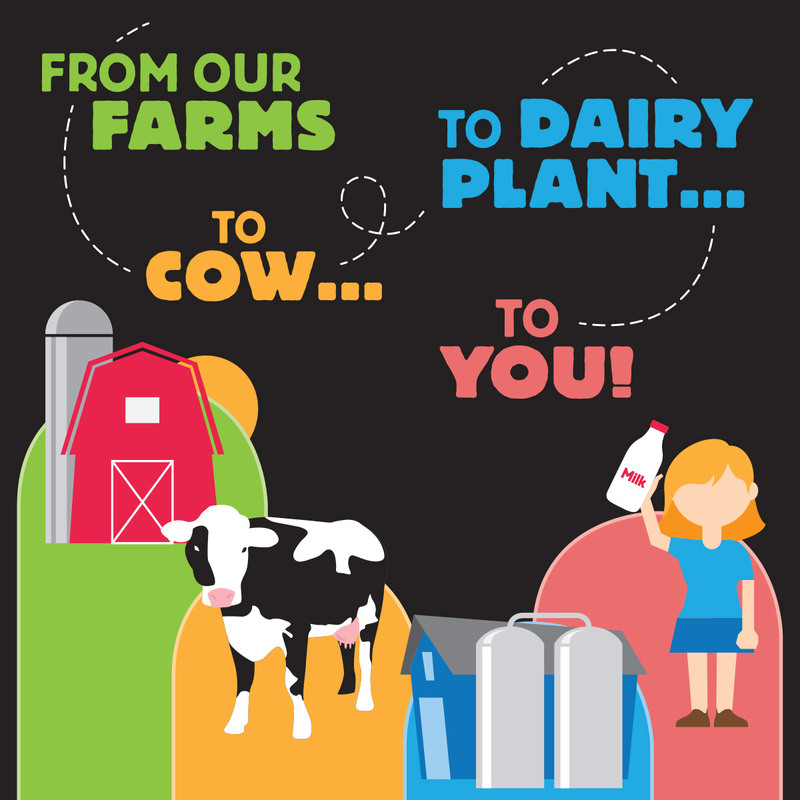 Here are five things you need to know about how milk gets from the farm to your fridge. Milk comes from well-cared-for cows. Farmers know comfortable, healthy cows produce the highest quality milk. By providing shelter, a diet planned by animal nutritionists, clean water and proper medical care, farmers ensure cows are as healthy as possible at all times. Milk is never touched by human hands. Cows are milked by milking machines, which gently squeeze milk from each cow’s udder at least twice a day. This process is more comfortable for cows and more sanitary, preventing human germs from contaminating milk. Next, the milk is cooled and stored in a bulk tank. Milk is tested for any impurities to ensure quality and safety before it even leaves the farm. If either quality or safety standards are not met, or if there is even a trace of antibiotic impurities, the whole tank of milk is discarded, never to reach grocery store shelves. Milk is tested again at the dairy plant. When milk arrives at the dairy plant, it’s tested again to ensure freshness, purity and great taste. Then comes pasteurization, when the milk is super-heated and then quickly cooled to remove any harmful microorganisms. Next, the milk goes to be packaged as fluid milk or processed to make cheese, yogurt and other dairy foods. Milk gets to your grocery store in about 48 hours. This process is safe and speedy, to ensure the milk in the grocery store is fresh from your local dairy. So next time you reach into your fridge for a dairy snack or glass of milk, remember the steps it took to get there. From farm to your table, dairy farmers and milk processors work together to make sure your dairy foods are healthy, safe and delicious. Learn more about farm to fridge.